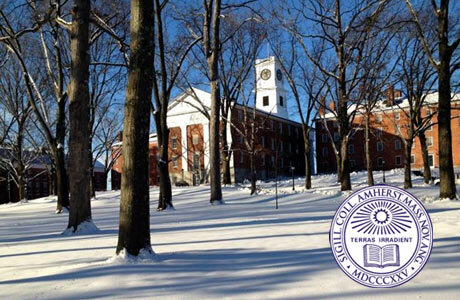 Amherst College offers financial aid award to international students. Since its founding in 1821, Amherst College has become one of the premier liberal arts colleges in the USA, enrolling some 1,800 talented, energetic and diverse young men and women.Renowned for its talented students, committed faculty, and rigorous academic life, Amherst offers the B.A. degree in 36 fields of study. With a faculty-student ratio of 1 to 8, Amherst’s classes are characterized by spirited interchange among students and acclaimed faculty skilled at asking challenging questions.Amherst is a member of the Five Colleges, a consortium with nearby Smith, Mount Holyoke and Hampshire Colleges and the University of Massachusetts at Amherst. Once your financial need is determined by College, a financial aid award that is equal to your need will be offered. Notices of financial aid awards will be sent soon after admission letters are mailed to first-year and transfer applicants. The award is sometimes called an "aid package" because it may include both self-help (employment) and gift aid (scholarships and grants). Students with lower financial need will be offered self-help. Students with greater need will be offered a combination of self-help and gift aid. Amherst College has replace all initially packaged, need based student loans with grant assistance and also offers $2,200 in an employment opportunity.